I don’t know about you, but I find inspiration whenever I see a space dedicated to writing. Judging from the great writing we publish in Room, I knew there had to be some great rooms we could peek into. I asked five Room writers—two past contest judges, one past contest winner, and two commissioned writers—to share their spaces with us and tell us about how they work in each space. I hope these rooms inspire you to make your own, if you haven’t got one already. Before she judged Room’s CNF contest this year, Ayelet Tsabari had multiple publications in Room. She recently authored the short story collection, The Best Place on Earth (HarperCollins, 2015), which was nominated for the Frank O’Connor International Short Story Award. Here she shares a little about where and how she writes. Her book on writing, Breathing the Page: Reading the Act of Writing (Cormorant Books, 2010) is a best-seller that offers practical advice to inspire writers—something she does a lot. In fact, Betsy has been mentoring writers formally for over two decades at The Writer’s Studio at SFU and through her own program, the Vancouver Manuscript Intensive. Many Room past and present collective members (myself included) have benefited from this mentorship. Currently, she’s at work on a creative non-fiction manuscript, Oscar of Between. She posts excerpts from it on her website alongside guest writers’ and artists’ work and readers' comments. Read on to learn more about the space where she has been writing this book, ever since she moved into her new apartment eight months ago. She hangs literary-related wall art on her white walls. A bpNichol print that reads “BIRDS FLEW OVER THE MOUNTAINS/SEA THE UNDER SWAM FISH.” She keeps objects, some for memory/anchoring (“a glass paper weight I purchased in Murano a long time ago”) and some to guide her, like the immature eagle feather in this photograph (“[it] floated to me as I stood on shore at Haida Gwaii”). Once a year she does an apartment sit in Montreal and writes a great deal there. At home, she will jot down ideas and do editing in her siting room. Photos of Betsy and her space by Ingrid Rose. Christa’s current writing space is multi-use and she has a table and playing instruments in the same room. “I dream of a room of one's own.” It's in a new home after a big cross-country move, three months ago. 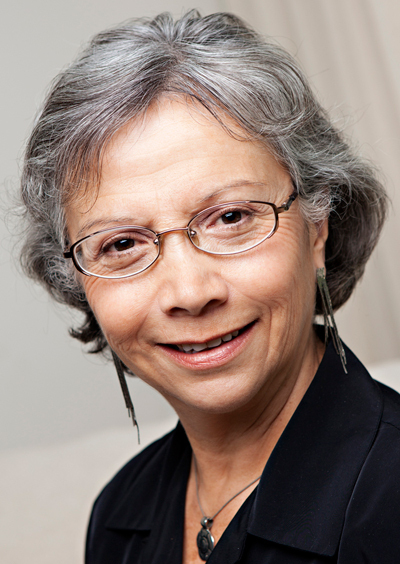 Author, poet, activist, and educator Carmen Rodríguez was born in Chile and moved to Vancouver after the Chilean Coup of 1973. Her writing is often based on her life as a political exile in Canada.She is the award-winning author of Guerra Prolongada/Protracted War (Women’s Press Literary, 1992), a volume of poetry; De cuerpo entero/and a body to remember with (Arsenal Pulp Press, 1997), a collection of short stories; and Retribution (Women’s Press Literary, 2011), a novel. She writes by “travelling between the two languages” of Spanish and English. I interviewed her about this for Room 38.1 (“In Translation”). When she’s in her writing space, she can’t live without the books she has written and the books she is reading at the time. Cecily Nicholson’s work, both creative and social, engages conditions of displacement, class, and gender violence. She is the administrator of Gallery Gachet and has worked in Vancouver’s Downtown Eastside neighbourhood since 2000. She is the author of Triage (Talonbooks, 2011) and From The Poplars (Talonbooks, 2014). Christina Cooke interviewed her for Room 37.4 about the threads that pull her writ­ing and her activisms into harmony. She’s been working in this writing space for four years. “I don’t have rituals, just habits I think.” In the morning Cecily will tend to her plants, prepare coffee, have a light breakfast. If you already have a room and would like to share with us, send us a picture on Facebook or Twitter (use the hashtag #MyWritingRoom and we’ll share them with our readers).